The Nigerian Army is an institution that has played a pivotal role in the affairs of the Federal Republic of Nigeria. For more than half of the 56 years since Independence, Nigeria was directly ruled by a Military Government, largely composed of army officers, and always headed by one. It is impossible to explore any facet of modern Nigerian history or society without the military (and in particular the Army) looming significantly. 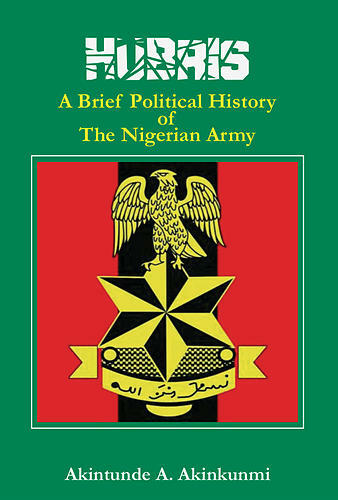 Whilst several authors have documented the history of Nigeria (and significantly less many of its Army), rarely, if ever, has the impact of the politics of Nigeria on the Army, and vice-versa, formed the exclusive subject of study. This volume is an endeavor to fill that gap. The period leading up to the Army’s first overt entry into the politics of Nigeria is reviewed, firstly the pre-Independence period, and then the years immediately following independence. The effects of the Nigerianisation of the Army, especially of the officer corps, and of the policy decisions made following the passing of control over the Army from the British to the Nigerian Government are considered. The political circumstances surrounding the Army’s first overt entry into politics - the January 1966 coup - and the political performance of the subsequent first military regime are discussed, as a precursor to the second coup in July 1966. The impact of the Army’s direct involvement in politics on the military performance of both sides in the Civil War is explored. After a nine-year interregnum, in July 1975 Nigeria returned to the era of coups, with at least eight attempted and successful coups, some of them bloody, over the next quarter century before the return to civilian rule in 1999. The personalities leading the resultant military Governments, and the policies of those Governments, are explored, in an attempt to discern their legacy on the political development of Nigeria, and on the Nigerian Army as an institution. It is, for example, instructive to note that of the four civilian Presidents of Nigeria since the return to civilian rule in 1999, two are retired Generals who were both former military Heads of State. The analyses in this book will present evidence, direct and circumstantial, in order to reach conclusions that will provoke discussion, agreement and dissent. If, in so doing, this volume adds to the ability of Nigerians to better understand their history whilst retaining the ability to disagree without falling out, it will have served its purpose. This is an enlightening book that contains nuggets of facts about the formation, growth and influence of the Nigerian Army in the country's political evolution. It is as meticulous in its historical analysis as it is wide ranging in its scope of coverage. The release of the book comes at a time when the role of the military—one of the most important public institutions in Nigeria—is coming under fresh public scrutiny in the context of the country's democratic consolidation. This book is a must read for policy makers as well as scholars of Nigeria's security institutions and public affairs. Akintunde Akinkunmi is a medical practitioner and also a high ranking officer in the British Army, in which he has served for more than 20 years, holding a variety of regimental, staff and command appointments in that time. This is his second book, the first being a work of fiction titled Best Served Cold.